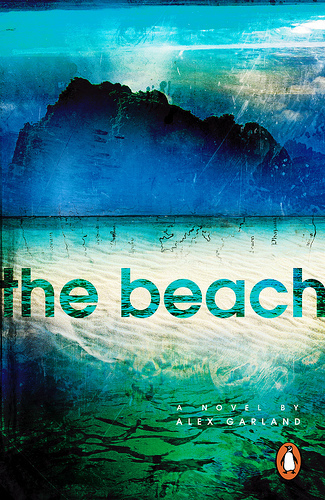 As far as first novels go, The Beach remains one of the most assured, strongest debuts I’ve ever read. Garland mined his own experiences backpacking in Thailand to create a novel that is fraught with tension, but also shot through with that very strange feeling of being lost that members of the so-called Generation X (my brethren) seem to struggle with at some point in their lives. The novel tells the story of Richard, a habitual adventurer and backpacker, who while residing in a run-down hostel in Bangkok meets a deranged Scottish lunatic who gives him a map. The next day, when the Scott is found dead in his room, Richard, along with a young French couple, sets out to discover the treasure promised by the map: a beach on an isolated island. What they find on the beach is a hippie-like commune living what at first appears to be a life in paradise. Richard and his friends soon discover, however, that paradise doesn’t really exist. What follows is the slow but irreversible erosion of the ad hoc society the group has established on the beach. Not without reminding the reader of the classic Lord of the Flies, Garland’s The Beach explores the Gen X malaise, the inability to find a reason or a place to be, the often all-encompassing confusion that pushes those who, like Richard and his friends, have had the world handed to them on a platter, and are at a lost for something useful to do with it. The novel is about looking for a place to happen, to quote a popular song; it’s also about the bad things that can happen once you find that place. 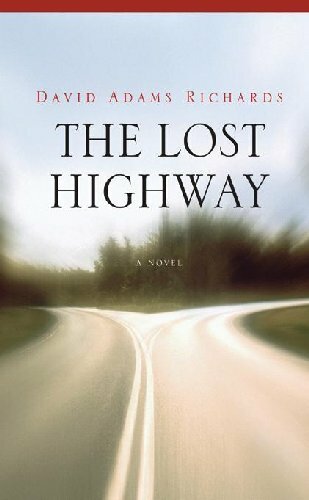 Similarly, in The Lost Highway (2007), David Adams Richards explores the lives of lost and wandering souls. The backdrop of the story is, as always, the Miramichi region of New Brunswick, and the characters are some of its poorer, most destitute (in ways pecuniary as well as morally) inhabitants. Alex, the protagonist, is similar to Garland’s Richard, a man without a clear sense of where he belongs. While educated and working as a teacher, he remains hateful of academics and intellectuals, the results of a streak of self-loathing. When he comes to believe that his uncle, with whom Alex shares a bitter, embattled relationship, has won millions of dollars in a lottery, he begins to plot, yearning for the money he believes to be his. The plot thickens with a murder, and with the addition of Alex’s friend/nemesis Leo, who also sees in Alex’s situation a get rich-quick scheme too good to pass on. As with many of his other novels, David Adams Richards here explores the mores and lives of poor folk, those his writing often worships as being more natural than the rich or well-off. There is a truth in the hard-scrabble lives of poor rural New Brunswickers that sings to Richards, and while the carefully crafted story anchors the narrator’s point-of-view squarely and closely to each of the different characters, we still feel Richards’ own passions and obsessions shining through. Though this is certainly not his most accomplished work, it remains perhaps his most accessible. A final note: Richards’ book shouldn’t be confused with David Lynch’s film Lost Highway; however, Garland’s book was in fact adapted into a film, starring Leonardo DiCaprio. Trust me: read the book, don’t watch the film. Also, I promise to try and read something a bit more upbeat for my next column. Maybe Ann of Green Gables?